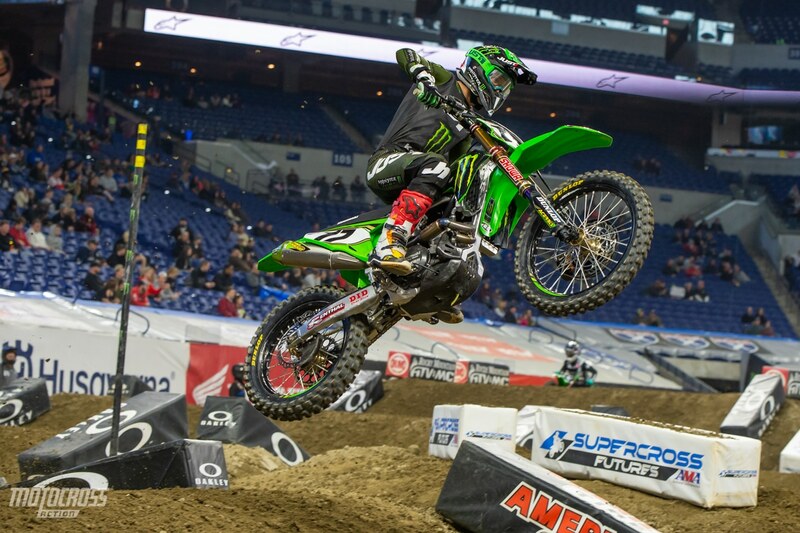 Factory Kawasaki racer, Joey Savatgy is the 450 fastest qualifier in Indy. 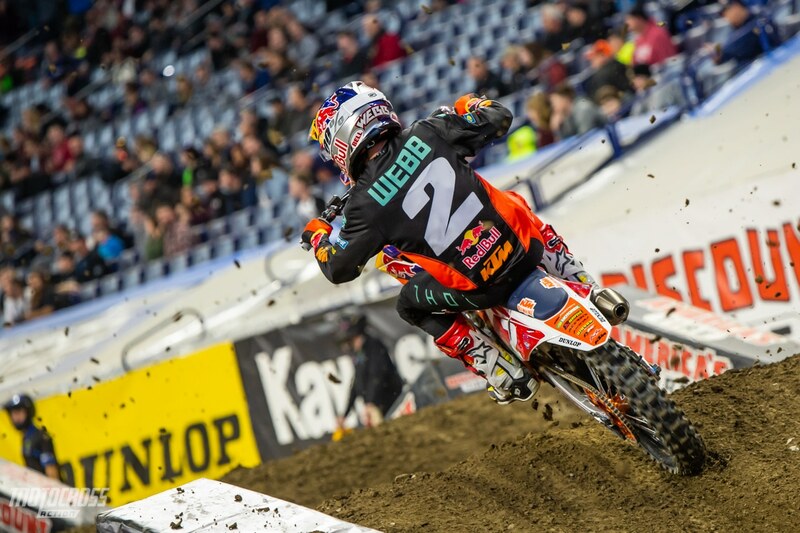 Cooper Webb is who all the 450 Supercross racers will be chasing in Indy. We are more than halfway into the series and Webb has a commanding lead. Coming into race day MXA is going to be here to give you updated qualifying times and results. First we will post the first session qualifying times. Then post the overall combined qualifying results that mesh the first and second sessions as well as qualifying groups A and B together which feature the top 40 times, as well as the riders that didn’t qualify for the night show. Factory Kawasaki rider, Joey Savatgy came alive in the second session in Indy to take the overall pole in 450 qualifying. Justin Hill led the first session, but got bumped back to fifth with Musquin, Webb, and Tomac all breaking into the 48 second lap time range. For 450SX live race results click here. KTM factory rider, Marvin Musquin qualified second. 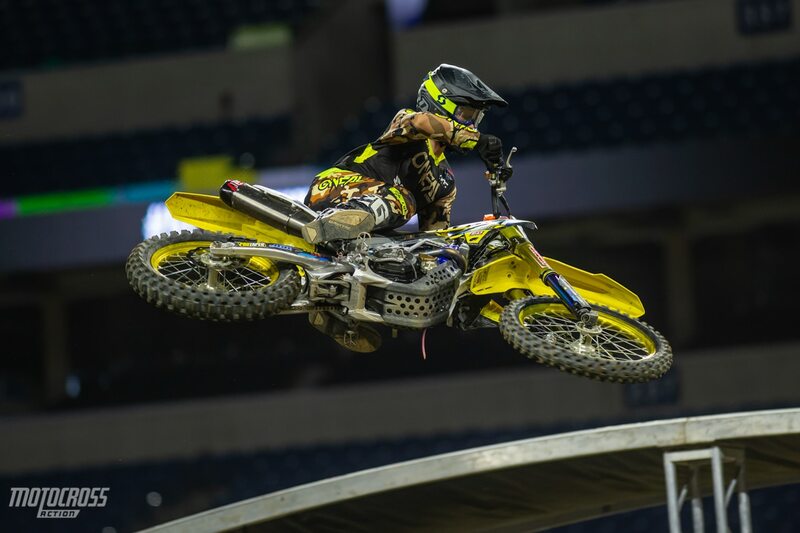 Justin Hill was the top 450 qualifier in the first session in Indy. 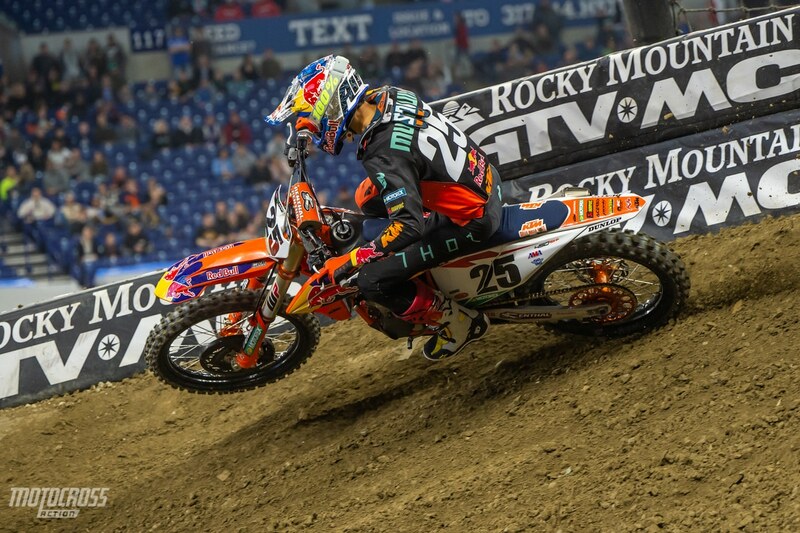 The two JGR riders of Justin Hill and Chad Reed were dominating the first session of qualifying in Indy. In the last few minutes Joey Savatgy, Cooper Webb and Eli Tomac pumped Reed to forth, but Hill was still more than a half second faster than the rest of the field. For the 250 qualifying results click here.